Water contamination is one of the major environmental issues due to a drastic increase in world population, industrialization, deforestations, geographical changes, etc. The high rates of water wastage in domestic, industrial and agriculture negatively impact the sustainability of water resources. Since its discovery, carbon nanotubes (CNTs) are attracting a broad range of scientific and industrial activity due to their fascinating physicochemical properties, which can serve as a platform for water remediation. 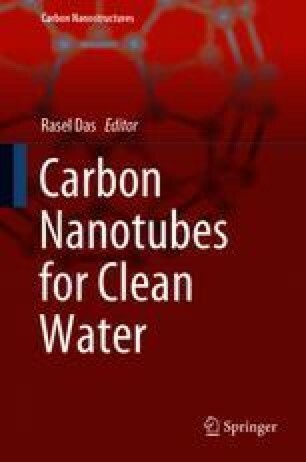 In this chapter, the properties and strengths of CNTs as catalyst for water purification are discussed. Moreover, the current limitations and challenges of CNTs in catalytic water purification processes are also described for future developments.